The Iraqi forces (ISF) continued to have problems with their press releases about the Mosul battle. 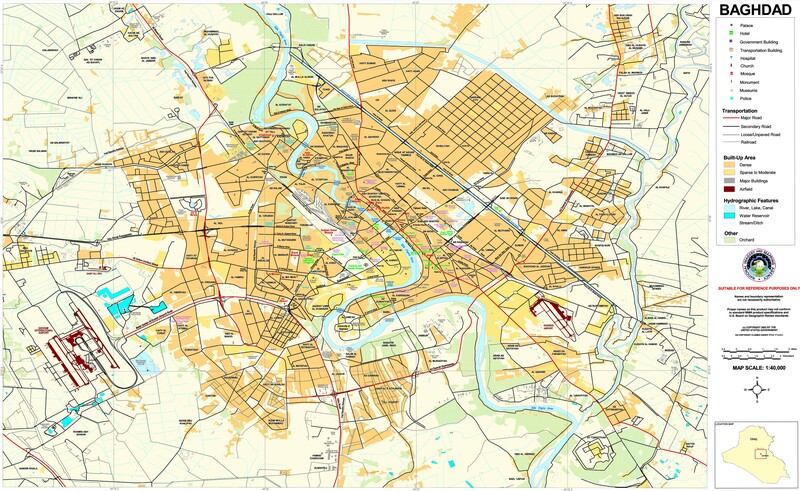 On June 9, the Federal Police announced that it had freed the Zinjali neighborhood in the center of the city. 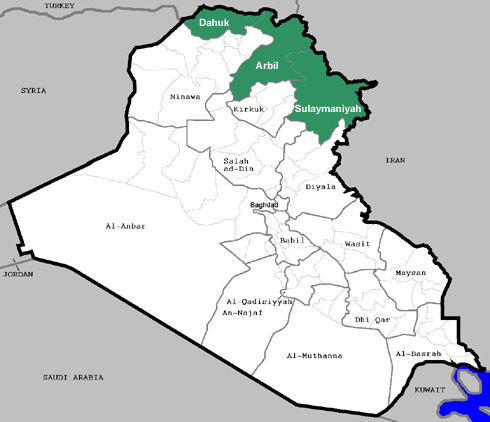 Then on June 11 the Joint Operations Command corrected that saying only the southern half of the area was liberated. June 12 the Federal Police commander General Raed Shakir Jawadat doubled down and again claimed that all of Zinjali was under government control. That was contradicted by the fact that the Rapid Reaction Division head General Thamir al-Husseini said that his forces destroyed an Islamic State headquarters in Zinjali. Not only that but the ISF were fighting over a market in southern Zinjali, which showed that the entire neighborhood was still contested. Another area under attack was Shifa, which is next door. The ISF said they had made little progress, but then yesterday claimed they had 60% of Shifa under control. Such a sudden advance might have been another exaggeration. The main point of contention was the medical complex, which is in the northern section. 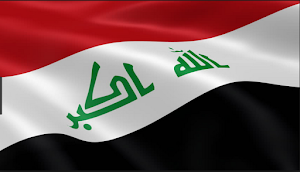 The ISF attacked the area at the start of the new campaign at the end of May, but it was a trap set by the insurgents who drove the Iraqi forces out. Finally, the ISF were still fighting over Bab al-Sinjar that is one of the northern entrances to the Old City district. The Joint Operations Command also denied news reports that the ISF were near the Hadbaa minaret in the Old City. Every day the Iraqi forces have to announce victories in the war against the Islamic State. 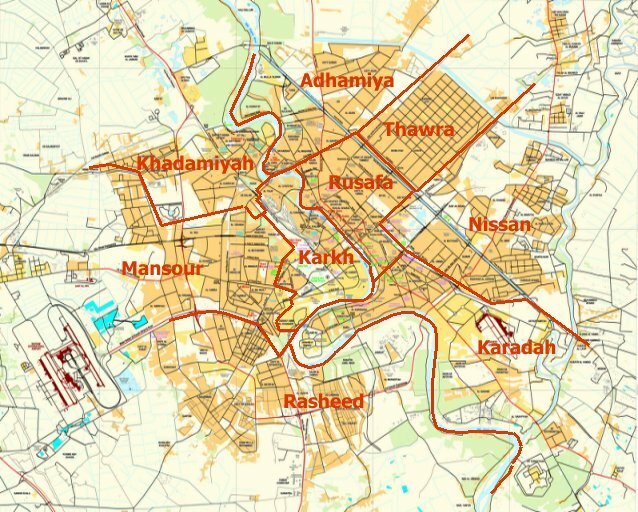 This constant pressure, and competition amongst the different units involved in the Mosul campaign leads to continuous embellishments, and sometimes false stories. These recent events were a perfect example. To the west of Mosul, the army’s 15th Division was continuing its push to seize Tal Afar. Five more villages were taken east of Tal Afar. The village itself has been a point of contention for months as the Hashd wanted to liberate it, but objections from Turkey stopped them. Farther west along the Syrian border the Guardian went to Baaj, which was recently freed by the Hashd. The town was empty of people as the Hashd have told those residents and all the other towns they seized in west Ninewa to evacuate because they were not safe. This has caused a huge displacement confirmed by the United Nations that recorded around 12,000 people from Baaj and Tal Afar arriving in camps south of Mosul from June 8-10. That raises a big question of whether the Hashd just want to clear out explosives and hunt down insurgents in these areas and then will allow the residents to return or whether they plan on keeping them out. 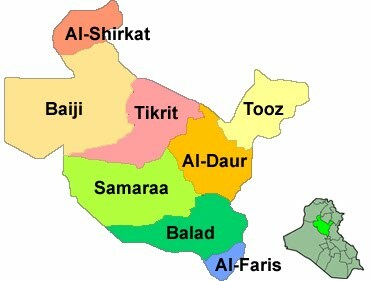 Due to west Ninewa being a traditional route for foreign fighters to enter Iraq, pro-Tehran Hashd wanting to create a land route between Iran and Syria, and the Hashd wanting to protect the Shiite Turkmen in Tal Afar this section of the province may become a security zone bereft of people. Iranian Revolutionary Guards’ Quds Force commander General Qasim Suleimani was again seen along the Iraq-Syrian border. When the Hashd originally reached the area earlier this month General Suleimani was pictured with them on social media. Now the Iranian news agency Tasnim posted pictures of the general posing with Afghan Shiite militiamen on the Syrian side of the border. Iran has mobilized Afghans, Iraqis, Lebanese and others to help support the Assad government in the Syrian civil war. It raises more questions that the pro-Iran Hashd want to hold western Ninewa so that it can cooperate with Tehran in Syria. 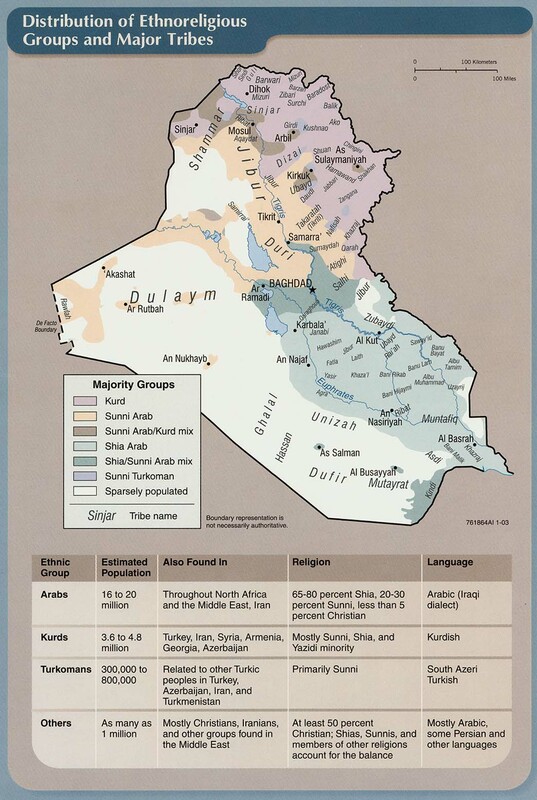 June 10 was the three year anniversary of the fall of Mosul to the Islamic State. That has led to a new blame game over who was responsible. First, former Ninewa Operations Command head General Mahdi al-Gharawi claimed he was not the one that let the city’s defenses collapse. He told the press he got a command from an unknown source to retreat from the city in 2014. He went on to criticize then Defense Minister Sadoun Dulaimi for not carrying about Mosul, former ground forces commander General Ali Ghaidan for making wrong decisions during the 2014 battle, ex-Ninewa Governor Atheel Nujafi for giving out contracts which the Islamic State skimmed money off of, and finally the population of Mosul and the Ninewa government who he said welcomed the Islamic State. 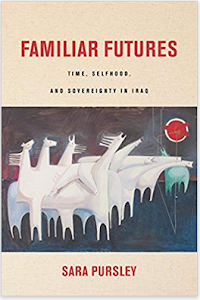 Similarly, Sadrist parliamentarian Hakim al-Zamili who is the head of the security committee accused ex-Prime Minister Nouri al-Maliki, Kurdish President Massoud Barzani, and Speaker Salim Jabouri. 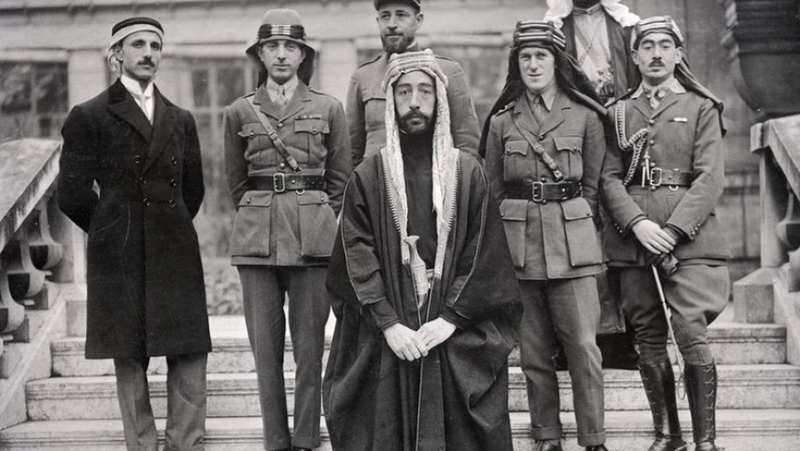 The Sadrists are some of the strongest critics of the former premier, and they along with other Shiite parties have claimed a conspiracy of Sunni and Kurdish politicians for supporting the Islamic State. General Gharawi has a little better argument, because Maliki did take Mosul out of his command when it was attacked. On the other hand, he too seems to be driven by personal vendettas in his list of those he accuses. The fall of Mosul was a traumatic event for Iraq, and no one has ever been punished for it. Instead, you get these types of statements where people try to shift the blame or attack their opponents. It’s a perfect example of politics trumping accountability. The Los Angeles Times picked up on the latest Human Rights Watch report that found dead bodies showing up south of Mosul. Along with the corpses, the Times went to the village of Kharaar where it found that the people had decided to expel all the families associated with the Islamic State and burned and boarded up their homes. The town’s leader said they could not return. This is one of a growing number of stories about group punishment being meted out to people linked to the insurgency. There’s little hope for reconciliation in the province and the country in general if whole families are going to be blamed for IS and punished as a result. 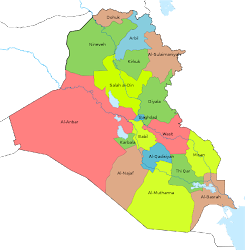 Baghdad is completely absent as well as it has no reconciliation plan. The Kurdistan Democratic Party’s (KDP) Rudaw paper attacked its opponents in the Sinjar district. There was a piece that claimed 320-800 Yazidis in the area had joined the Hashd. Rudaw wrote that almost all of these came from the Sinjar Protection Units (YBS) affiliated with the Kurdistan Workers’ Party (PKK), Patriotic Union of Kurdistan Peshmerga, and independent Yazidi militias. The KDP is against all of these groups because they challenge the party’s authority. It’s also embarrassed by Yazidis, which they consider Kurds, joining the Hashd so this article tried to write it off by claiming they were all against the KDP to begin with. New Sabah wrote about the two sides of liberated Mosul. On the one hand, it went to a market by the Nabi Younis shrine in east Mosul. Shops were open, and businessmen said there were more shoppers and buying going on. On the other side, public health workers went on strike because they had not been paid in years. That shut down 70% of the hospitals and clinics in the city. People have taken their own initiative and started rebuilding the city and opening their businesses up again. On the other hand, the city is dependent upon the government for not only services like health care, but most of the salaries as well. Mosul can only make it so far until Baghdad steps up to the plate, starts paying its workers, and puts money into the reconstruction process. The United Nations counted 402,126 displaced from the Mosul campaign. That was the highest figure so far, and there are many more that never registered with the authorities. From June 8-10, over 6,000 came out of Mosul, mostly from Zinjali where the heaviest fighting is going on. Besides the combat the lack of food and services is another motivation for people to leave. Most of the displaced from west Mosul go to Hamam al-Alil to be screened and then move to east Mosul. As mentioned before another 12,000 came from western Ninewa due to the operations there and the Hashd emptying villages. They are staying in camps south of Mosul. The U.N. and other aid groups were afraid of a flood of people fleeing Mosul when the latest operation started, and that happened for a few days, but has since fallen off in recent weeks from an average of 10,000 per day town to just 2,000-3,000. The new displacement from west Ninewa is more troubling because those people may not be allowed to return. Agence France Presse and Al Mada wrote about the people in the displaced camps. AFP talked about the lighter side following a bunch of kids from the Khazir camp who were swimming in the Khazir River during the summer heat. The children said they had nothing to do in the camps, there was only power for about four hours a day, and no work, so they had nothing better to do then play and have fun. Al Mada on the other hand wrote about the trauma many mothers are feeling from having to flee their homes. That is leading to increasing numbers of women complaining that they can no longer breast feed their children. Health officials are afraid of what affect that will have on babies. Despite the swimming the two pieces highlight the tough life people are having living as internal refugees. They are stuck in camps with no livelihoods, and the psychological effect of losing their homes is taking a heavy toll.